Both of Andrew Rindfleisch’s parents worked in the theater so it comes as no surprise that drama is at the core of his tightly constructed music. What you might not suspect, though, is his fondness for the exact opposite; freely improvised performance where the performers keep each other on their ears and toes. Luckily, the composer could have no better partner in spontaneity than Zeitgeist, one of the country’s longest established new music chamber groups. The four-movement title track Night Singing is a profoundly dark and expressive evocation of nocturnal states of being, and an autobiographical sentiment of the composer’s own approaches to composition. Nine Little Improvisations, on the other hand, evokes the spontaneous and wildly eclectic improvisations of clarinetist Pat O’Keefe with Rindfleisch at the piano. The solo work For Clarinet Alone reveals a remarkable recording of aggressive refinement, illuminating a work of extreme quietness and solitude through the use of minimal microtonal movement. With Fanatical Dances, a dense work for seven players, and the group performance of Improvisation Situation, featuring theatrical vocals by Rindfleisch, both free and composed music clash in celebratory fashion to round out this disc of virtuoso performances. 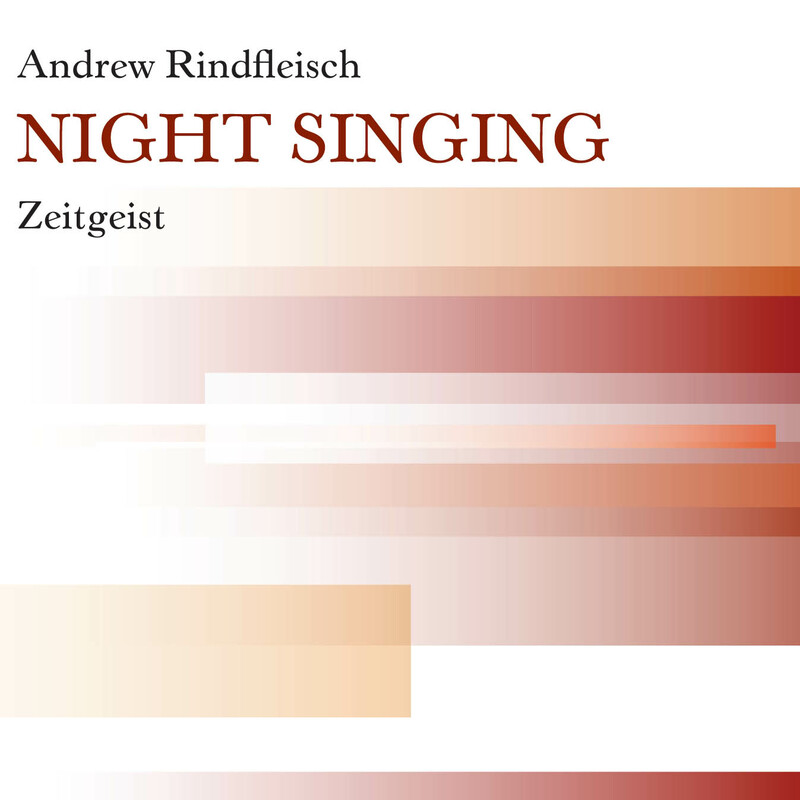 With this CD by the winner of dozens of awards such as the Rome Prize and Guggenheim Fellowship, we can enjoy new facets of the work of the broadly experienced performer, conductor and composer that is Andrew Rindfleisch: not only in improvisation, both vocal and instrumental, but also in his musical and theatrical collaboration with Zeitgeist. Performed by Andrew Rindfleisch, conductor/piano/bongos/voice; Heather Barringer, percussion; Patti Cudd; percussion; Pat O’Keefe, woodwinds; Shannon Wettstein, piano; Christian Zamora, violin, Jane Garvin, flute; Jim Jacobson, cello. Andrew Rindfleisch teaches at Cleveland State University. He also enjoys grave hopping. The major work on the program was the world premiere of Night Singing by Andrew Rindfleisch. This four-movement tone poem on nocturnal states of being moves from the raucous dissonance of hyper-anxiety through the chaotic energy of inspired creativity to a mood of eerie contemplation, full of gentle melody. The final movement exquisitely captures the haunting serenity of loneliness. The key work here is “Night Singing,” a 25-minute suite written for Zeitgeist. A nice work that makes good use of the ensemble’s strengths (displayed on their recent Innova CD, In Bone-Colored Light). But I prefer “Improvisation Situation”, a 14-minute improvisation between the group and the composer, the latter speech-singing (yes, a la Harry Partch) a funny yet disturbing text—a stroke of genius and audacity worth two thumbs up.